total beverages a day. Hot or humid weather can make you sweat and requires additional intake of fluid. • Never swim alone, always supervise children near the water, and wait a half-hour to swim after eating. • Store food safely during the heat to avoid food poisoning. sleeves in addition to using insect repellent as West Nile Virus has been found in local mosquitoes. • Avoid direct sun, but if you must be outside wear a head covering and sunscreen. Fahrenheit and cause heat-related illness and death. For residents who do not have access to air conditioning, a list of cooling centers and their hours of operation can be found online here: http://tularecounty.ca.gov/emergencies/index.cfm/cooling-centers/cooling-centers-english/. For after-hours assistance, please call 2-1-1. • Do not try to re-light or handle malfunctioning fireworks; douse and soak them with water and discard them safely. Fireworks stands may operate 9 a.m. to 10 p.m. each day between June 29 and July 4. 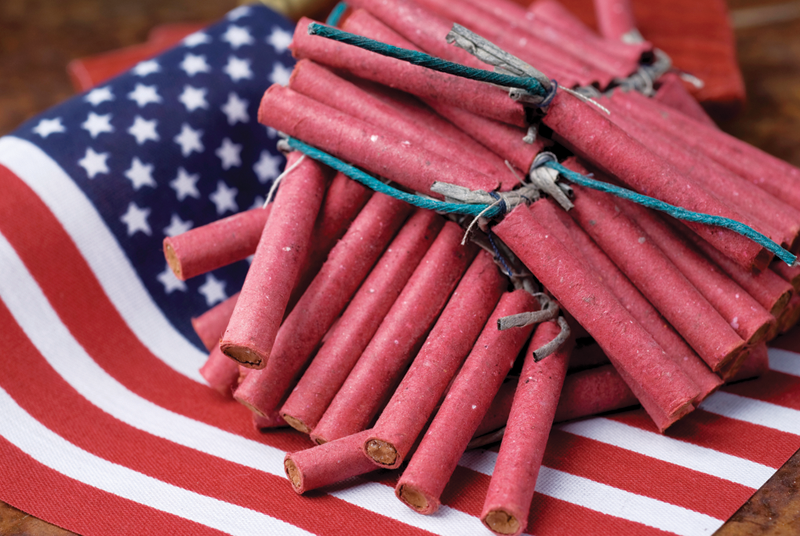 • Exeter Band Boosters, 505 Rocky Hill Dr.
• Exeter Sportsmen Association, 324 N. Kaweah Ave.
• Exeter USA Wrestling Club, 426 N. Kaweah Ave.
Fireworks stands may operate 9 a.m. to 11 p.m. each day between June 28 and July 4. • Knights of Columbuis, 1555 N. Farmersville Blvd. • Farmersville Kiwanis Club, 1376 N. Farmersville Blvd. • Pentacostal Church of God, 554 N. Farmersville Blvd. Fireworks stands may operate from 9 a.m. to 11 p.m. each day between June 29 and July 4. Lindsay Cardinals Kids’ Football, 370 W. Hermosa St.
New Life Church, 360 E. Hermosa St.
La Puerta Abierta Church, 280 N. Mirage Ave.
Royal Rangers, 765 N. Harvard Ave.
Fireworks stands may operate from 9 a.m. to 10 p.m. each day between July 1 and July 4. First Southern Baptist Church, 171 E. Antelope Ave.
Knights of Columbus, 211 N. Valencia Blvd. Woodlake Lions, 136 N. Valencia Blvd.